When it comes to men, three things usually come to mind; food, beer and sports. While women gossip about last night’s Real Housewives of Beverly Hills and their friend’s latest breakup, men around the world are watching TV with a beer in their left hand and a burger in their right. What makes a man’s favorites things even more enjoyable is technology. Not only do they get real-time updates on the latest scores; they also have access to everything manly. These days, technology is the ultimate third wheel on date night. This week’s Apps on Tap is the ultimate man guide to all things manly (beside chest hair, gross). So sit back, grab a beer and enjoy. What better way to relax after a hard day’s work than meeting some buddies for happy hour. Before heading to your favorite spot for your typical beer and wing combo, why not try something new? Happy Houred features over 22,000 happy hours in 2,000 cities and towns across the U.S. The app boasts a powerful network of users that love a great drink and an even better deal. Answering just three questions will you have drinking, eating and relaxing in no time. Using the program, users choose their drink of choice, whether its, beer, wine, shots, mixed drinks or any combination of the sort. Next, users choose a date and a time. Lastly, they’re asked to punch in their desired location or choose the “current location” tab. 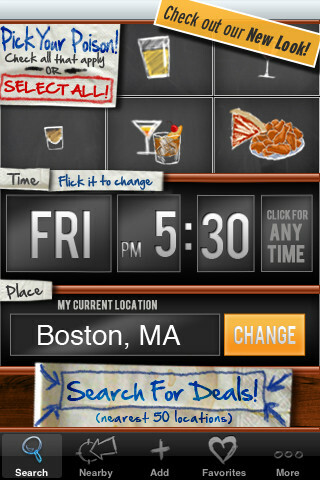 The app then displays happy hour deals available near you! The fun, easy-to-use interface is ideal for browsing. Users can search for complete bar/restaurants profiles and specials are continuously updated to ensure that no “stale” deals are displayed. Want to share your favorite spot with other Happy Houred users? Users can add/share their happy hour spots with the apps robust network or save their favorite spot using the “favorite” tab. Who knows sports better than ESPN? From sideline gossip to buzzer-beating wins, the folks at ESPN are the pulse of everything sports. Unfortunately, real life gets in the way of precious coach time, so the experts at ESPN have provided fans a way to get their daily fix while on the go. The ESPN ScoreCenter app brings users breaking scores, news, video and more in real time. Using the MyNews and MyVideo features, users can personalize their own scoreboards, news and videos to display what’s happening with their favorite teams. Stay up to date with the apps live scoring alerts or tune into the apps live GameCasts and links to the WatchESPN site. 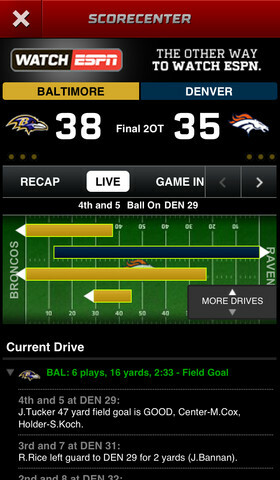 The app’s new expanded game views provide fans with detailed game coverage. Never miss another game with this program’s calendar navigation feature, which gives users exclusive access to past scores and upcoming games. Users can even share top news stories or scores with friends. Whether its Super Bowl frenzy or March Madness, the ESPN ScoreCenter app is your gateway to everything sports. Some say food is the way into a man’s heart, but try feeding your man tofu and wheatgrass and see if that gets you any closer to the altar. Men love food. While women are nibbling on salad and hummus, men are taking down a three-pound New York strip steak with a side of anything deep fried. The upcoming spring season means it’s time to dust off the old grill and stock up on red meat. The Weber Grills app from Weber is a man’s best friend during grilling season. The app includes over 75 delicious recipes and more than 60 guides, tips and techniques to help perfect any Grillmaster’s craft. The apps easy-to-use interactive interface features exclusive access to the apps “Grill Gallery,” filled with Weber’s best-selling products including gas, charcoal, portable and electric grills, smokers and accessories. Every Friday, users will receive a “Recipe of the Week,” complete with colorful photos, grocery lists, recipe notes and reviews. See something you like? Share recipes with friends using the new social media hub, Weber Nation, where Weber grill lovers across the country share their favorite photos, stories and recipes with others. 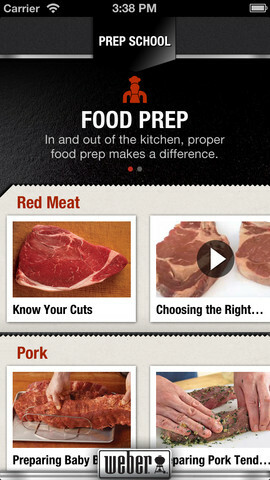 The app’s “Prep School” feature guides users through the essentials including knife skills, food prep and basic and advanced tools. Users can browse through the “Prep School” feature, using text, photos or video. 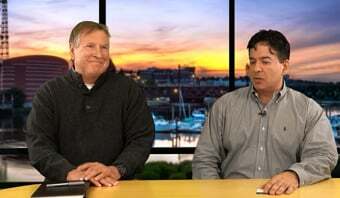 Next, the program’s “Grill Skills” feature takes users through a set of videos on how to master the perfect steak, ribs, salmon, turkey or chicken. Organize your shopping list with the “Grocery List” feature, which helps users check off ingredients and combine multiple recipes. Don’t forget the “Favorites” feature, where users can bookmark, sort and organize their favorite Weber recipes into their own mobile cookbook. Move over Paula Dean – Weber Grillmaster is here. You’ll be hard-pressed to find a woman that doesn’t agree that men do indeed have it easier than women. Without pointing out the obvious (women have the “privilege” of carrying a small human for 40 weeks), men have it good. Not only are sweatpants socially acceptable to wear almost anywhere, but chest bumping and grunting are just part of being a man.